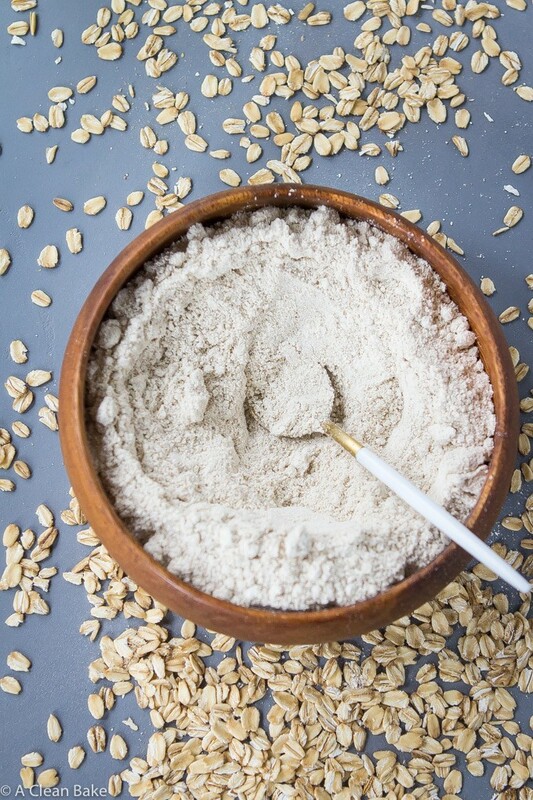 Making your own oat flour doesn’t require as much a recipe as a method. It’s remarkably easy, as I’m sure you can probably guess, and knowing how to do this can really come in handy if you have run out of oat flour, or just don’t want to buy two expensive ingredients when you only really need one that does double duty. Gluten free oat flour is expensive, especially when you compare it to the cost of regular oat flour. If you’re sensitive to gluten, it’s worth the extra expense to make sure that your oats haven’t been contaminated with gluten. But still. What a pain. 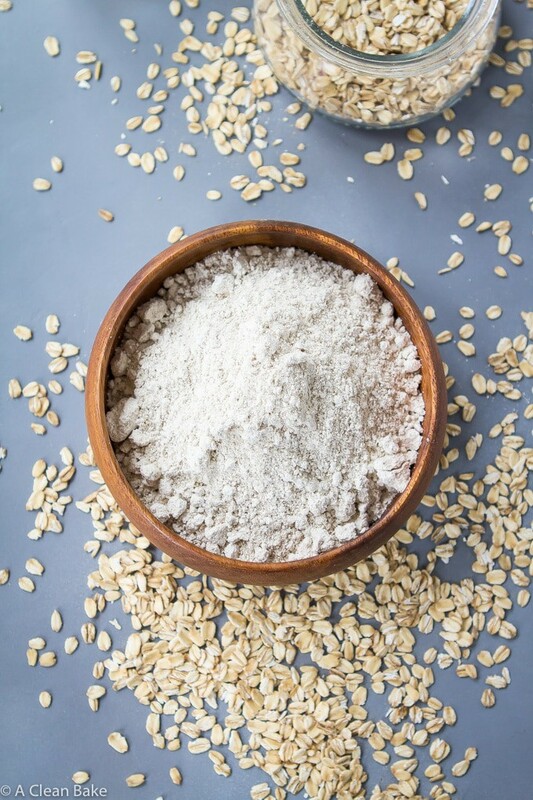 Making your own oat flour is one of the best ways to ease into gluten free baking, especially when it comes to sticker shock! One of the most common hurdles that people tell me that they struggle with when starting to bake gluten free is the cost. Those specialty flours are (too) expensive, I hear again and again, and wheat flour is so cheap! Is it really worth it?, people wonder. I get it, I sympathize, and I’m here to help. 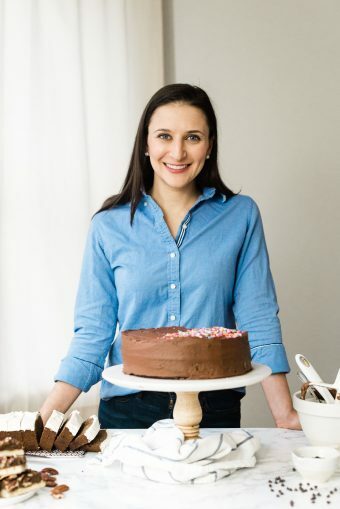 If you’re just starting out or a casual gluten-free baker, not wanting to spend a relative fortune on flour is totally understandable. 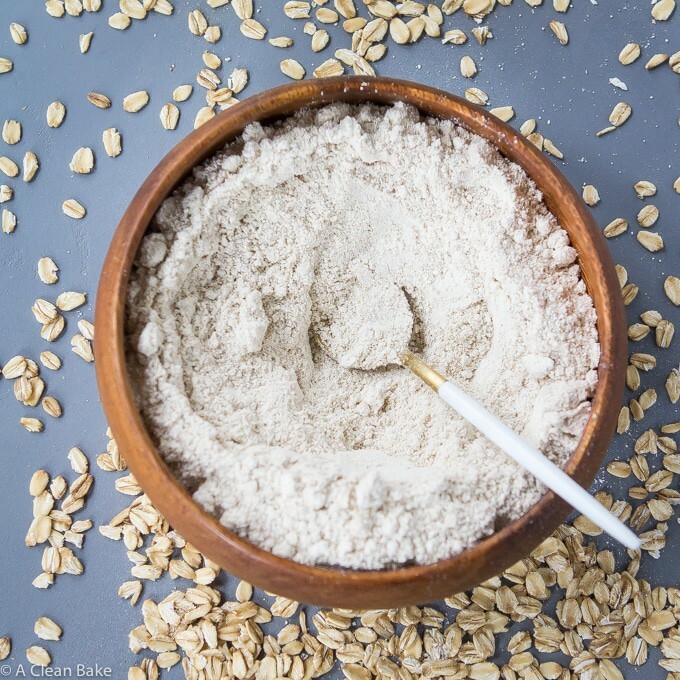 The easiest way to address the cost hurdle is to make your own flour from ingredients you already have handy, and oat flour is the easiest place to start. 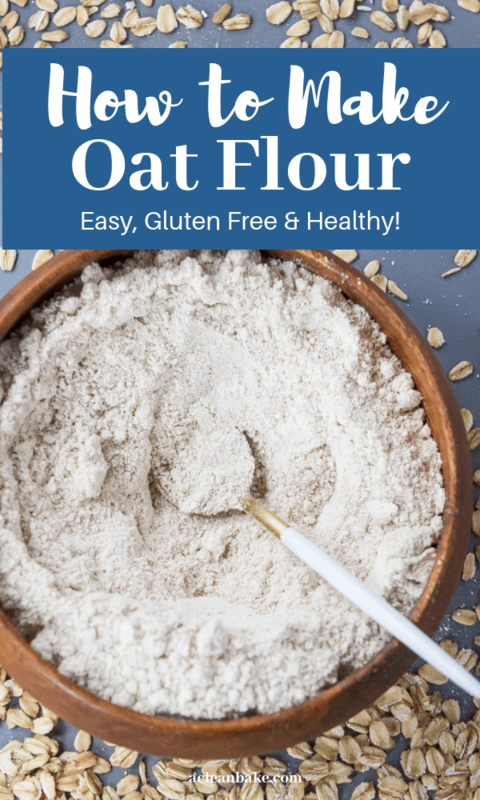 Oat flour is the simplest flour to make at home, using whole rolled oats (sometimes called “old fashioned oats”) and your high speed blender or food processor. 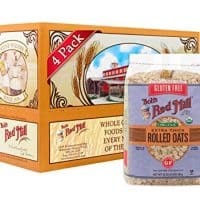 You don’t even need a ton of oats: 2 cups of whole rolled oats equals about a cup of oat flour, or maybe more, depending on how finely you grind it. 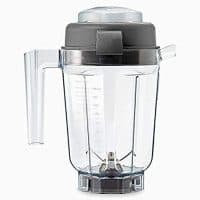 The best way to make your own oat flour is using a Vitamix, or similar high speed blender, equipped with a dry container. Your Vitamix should have come with two canisters. One is slightly taller and wider and its blade is slightly curved upward. That’s the wet canister, which you use for soups, smoothies, etc. The other canister is slightly shorter and slimmer, with a flat blade. That’s your dry goods container, which you want to use for oat flour. Don’t overload the container. Fill at most halfway full with oats, but more like 1/3 full is preferable for the finest, most uniform oat flour. It will take some time. Don’t just process for 20-30 seconds and consider your flour done. You need to keep going until it is very fine, almost powdery. Make sure the blade keeps moving. If you’re not sure, or you see or hear the blade stall, stop your machine immediately and scoop out the flour from around the base. Even if the blade is moving, stop periodically to make sure that no flour is getting packed around the base. If that happens, that layer of flour will be very fine, but the rest – higher up – will stay very coarse. Keep the flour moving in an infinity pattern (down to the base, then up toward the top, then back down again) as it blends to make sure it is ground to a uniform texture throughout the whole batch. It should look like there’s a funnel cloud in the center of the blender. The plunger that came with your Vitamix is helpful for this purpose. If you smell something burn-y, stop the machine immediately – that’s your motor beginning to burn out! Read the instructions for your machine, and don’t go any longer than they tell you to. For example, my machine says not to process dry good for longer than 3 minutes. As I hinted to above, for the finest grind, use the dry canister of a high speed blender, like a Vitamix. If you are using your food processor, you may get a slightly coarser grind. That’s ok; you should still follow the instructions above to make sure you are getting the finest ground oat flour you can. Process for at least 1 minute. You want your flour to be as finely and uniformly ground as possible. 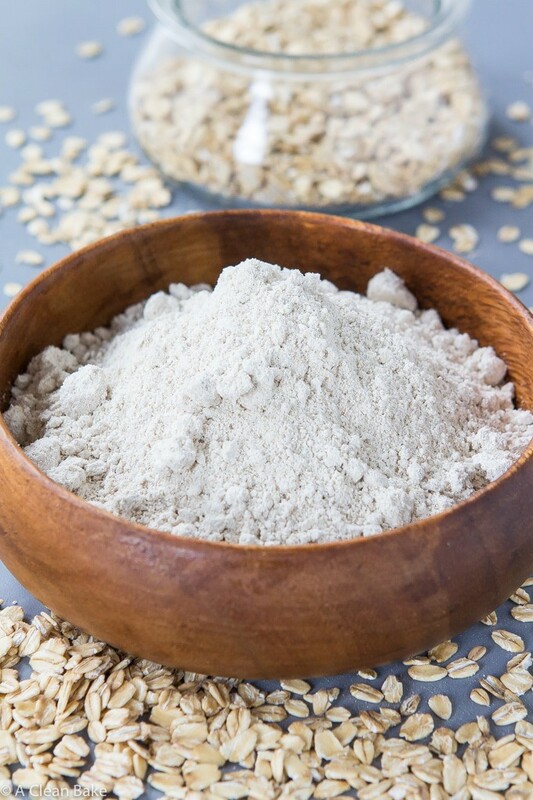 If you’re using a food processor or a lower-end blender, you might find that homemade oat flour is very difficult, if not impossible, to get as finely ground as the packaged stuff. Don’t worry about it. Just ground your flour as finely as possible. In my experience the difference to the final baked good is negligible. Once you have made your flour, check out all of these ways you can use it! 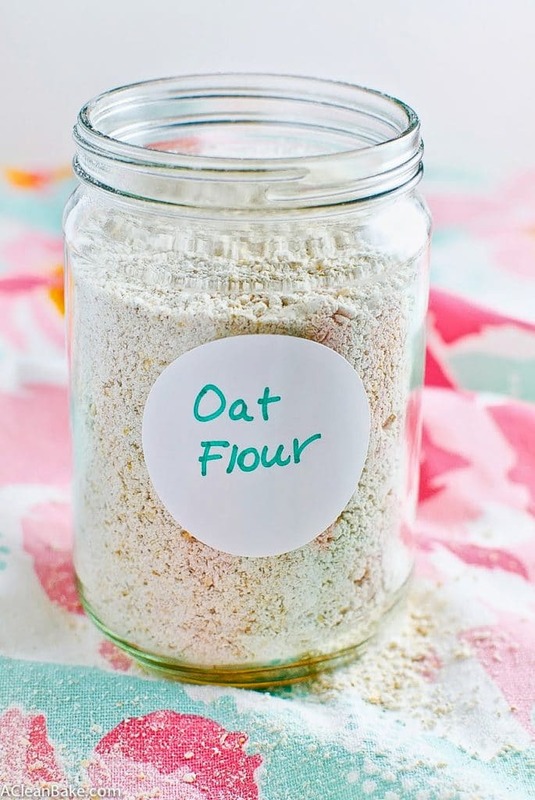 You won't believe how quick and easy it is to make your own oat flour at home. This is the cheapest and fastest way to make this gluten free staple flour! 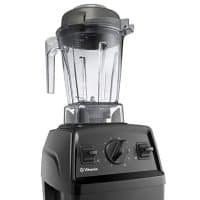 Place oats in the bowl of a high speed blender, or a food processor fitted with the S blade. Pulse several times until the oats are chopped. Process consistently on high for 1-2 more minutes until the oats are as finely ground as possible (see note). You'll find that the homemade stuff is very difficult, if not impossible, to get as finely ground as the packaged oat flour, but in my experience the difference to the final baked good is negligible. If you need a very fine ground, a good quality high speed blender is your best bet. I use the dry container with my Vitamix. Store in an airtight container for up to a month at room temperature or up to 3 months in the freezer.